Our Lowering Kits are proudly made in the U.S.A.
Common Question: If I lower the rear of the bike, do I need to lower the front also? Answer: Not with our lowering kit. 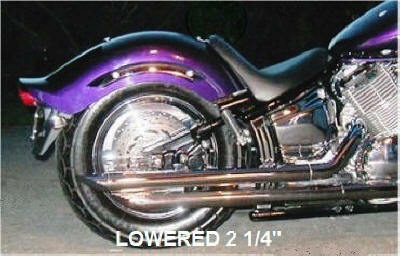 Lowering the rear of the bike is no different than adding a passenger (but without the added weight). Here's our most popular package! No matter what they tell you, there is a difference. 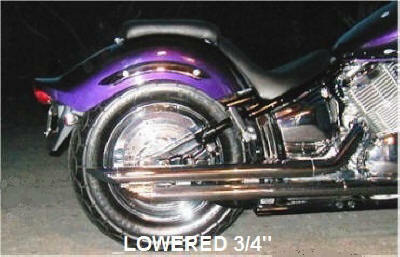 Our lowering kits were designed the right way the first time. 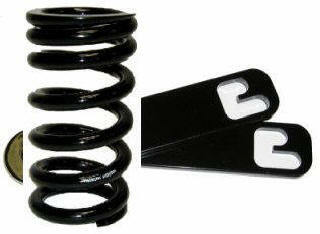 Then we added the unmatched Progressive Rear spring. 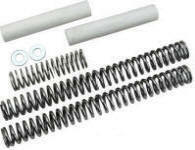 This package offers the Comfort, Control, and Performance other kits simply cannot offer. 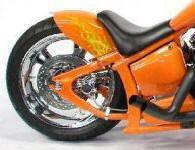 Common Question: If you are just lowering the rear of the bike with one of our lowering kits, a shorter kickstand may be installed, but is not required.